We help translate your dreams into a solid marketing message and design. Our collaborative approach ensures that each finished product reflects your unique style and vision. There is only one direction to go. Forward. Let us help move your business forward to accomplish your goals. We become your instant marketing team to produce web design and print collateral as well as provide project management for all your communications. Dream big. Anything is possible. We're here to help you realize your dreams. We work collaboratively with you and your team to grow your business. 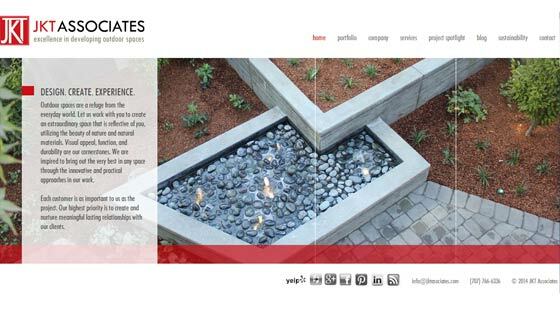 Our goal is to reflect your style and accomplish your business goals with every design piece we create for you. We want to know who you want to reach, what your prospects are interested in, and what they should know. Our guiding principle is how we can help promote and improve your business. We provide a finished piece that not only wows your customers, colleagues, and staff, but also accomplishes the most important underlying goal: to help promote and improve your business. 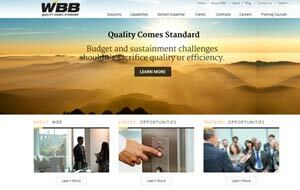 Does your website lack the highest level of quality possible? Do your marketing materials need a more consistent branding & style? 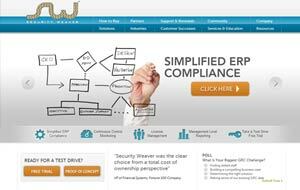 Are you spending too much time coordinating files, schedules or information between customers, vendors or staff - when these tasks could be more efficiently handled online? Or, would your organization benefit from being able to sell products or services directly from your website? If the answer to any of these questions is yes, we're here to help you move towards your dreams by achieving your design and web development goals. 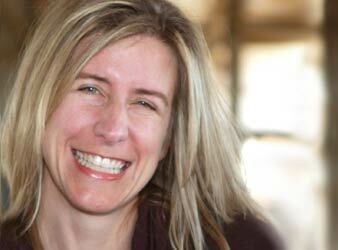 Amplify Interactive is comprised of a small team of web designers & developers, programmers, graphic designers, production artists, online marketing specialists and project managers, working under the creative direction of owner, Kathy Pine. We provide the services that businesses, organizations and startups of any size need to take their marketing to the next level. The services we offer are virtually unlimited - if it's a creative task, a website challenge, or communications related - we have a solution for you. With over 10 years in business, you can count on our expertise and dependability. We specialize in promoting your business through creative, quality and professional design, streamlining your organization with advanced, efficient and powerful web tools, and building your enterprise by considering business goals and ROI in all marketing endeavors. We create professional websites that produce results, eye-catching print materials that get you noticed, and powerful communications tools that help your business perform. 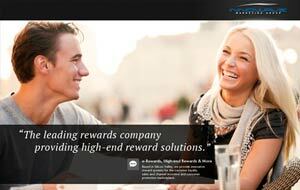 Innowave Marketing is chartering new ground in the incentive and reward marketplace. 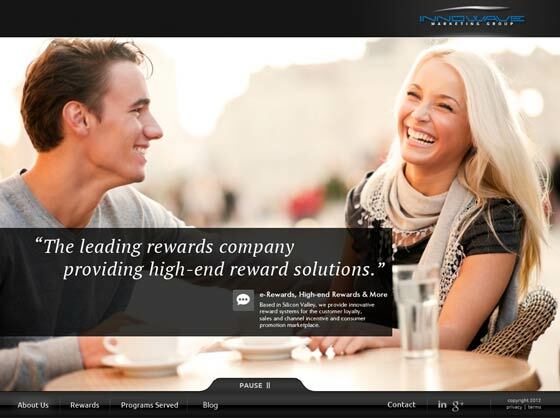 They chose Amplify Interactive to create a sleek, modern and unique interface to establish their new brand presence. 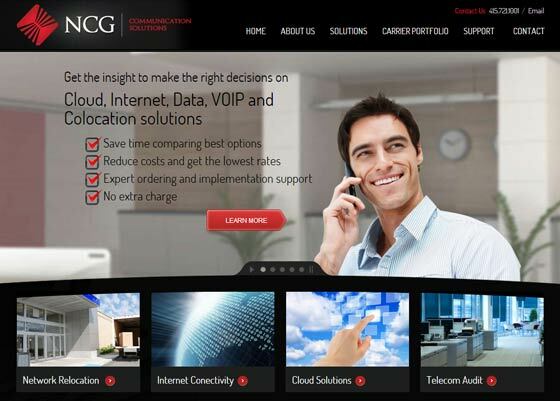 Their website was created using ExpressionEngine as a content management system, and boasts a robust responsive design for optimal viewing on desktop, tablet and mobile devices. 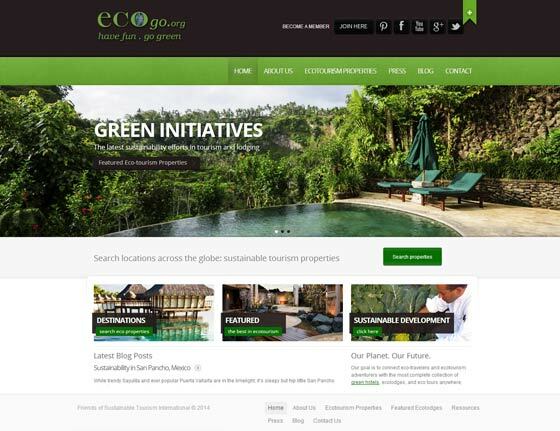 The Friends of Sustainable Tourism International website makes use of a Content Management System (CMS), property lookup showing locations of over 500 properties around the world, and blog. Amplify Interactive helped build this website in record time to meet the client’s deadline for a presentation in South Korea. 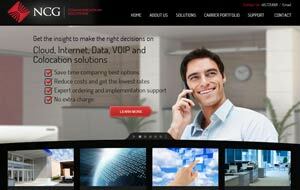 The site is completely responsive for optimal loading on desktop, tablet and mobile devices. 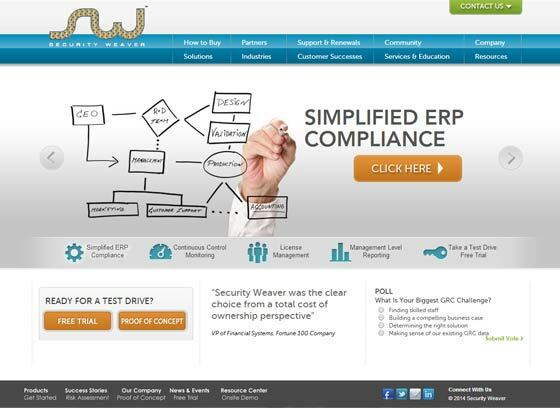 Security Weaver, a lead software providers in the SAP industry, was looking for a web site redesign that would reflect a high-end, cutting edge software company that sells to Fortune 500 companies. 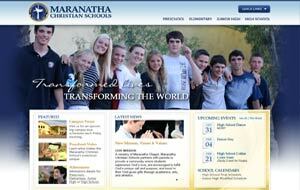 The new site provided a design that earned them the respect in the SAP industry. Along with integration with ExpressionEngine CMS, the site was also built with extensive lead capturing and newsletter subscription services, allowing for e-mail blasts and lead capturing on the backend. 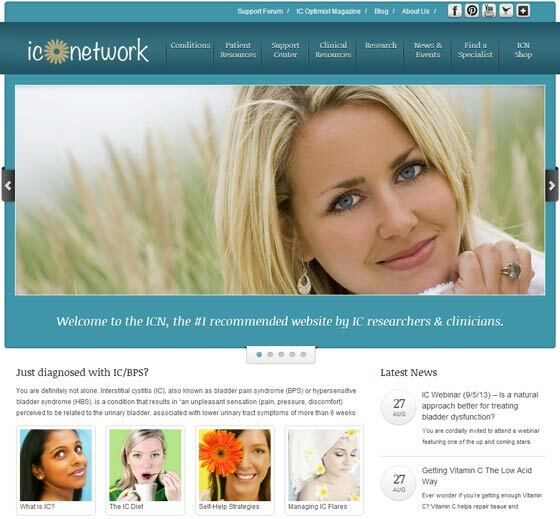 Amplify Interactive worked closely with this experienced nonprofit to redesign their expansive site, the world's top referenced website for IC and related illnesses. The site design was customized from a Wordpress theme, and utilized the Wordpress CMS capabilities to provide updateable pages, a new providers professional listing database, advertising support and more. The site integrates with the existing vBulletin forum and ecommerce store and makes use of a new blog to post industry news and events. 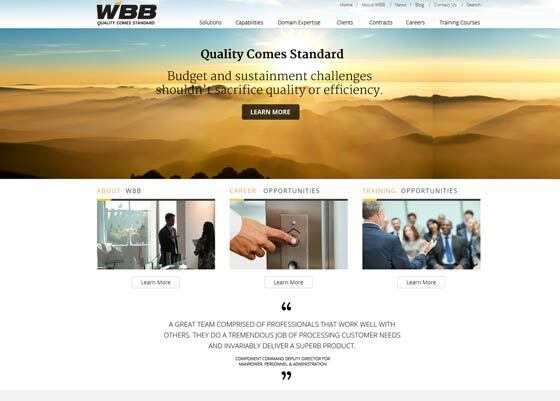 Working closely with the WBB Marketing Team, Amplify Interactive built the design for the new WBB website, fully integrating it with an ExpressionEngine Content Management System, building out training modules, and creating a new design look that was carried into all marketing pieces for WBB. 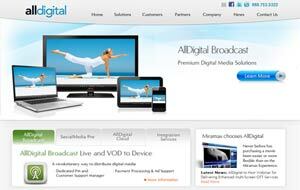 AllDigital wanted a unique site design that reflected a clean, simple design style. 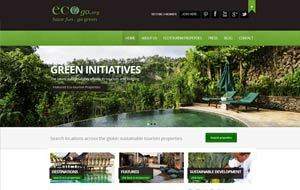 The entire site was built upon a content management system layout using ExpressionEngine. 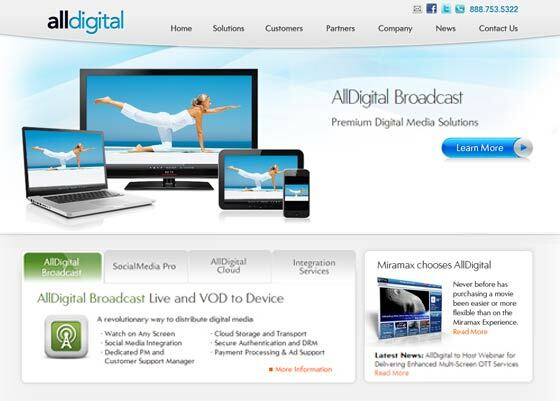 Each section was designed with the audience in mind to create a simple, intuitive format for AllDigital to explain their products and services. This small startup is poised for greatness as they build upon their years of consultant expertise and launch their new spinoff business from former parent company NCG.Amplify Interactive was pleased to help them build their brand - thru logo design, stationery, and flyer design - and build their website with a custom design that matches their forward-thinking, tech-savvy attitude. 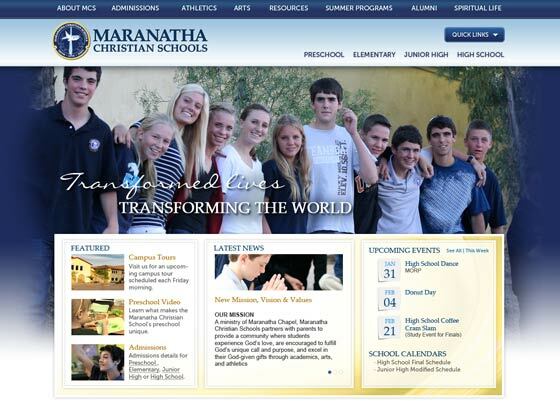 Maranatha Christian Schools was looking for a web design firm that could work with them collaboratively. With an in-house technology teacher, they wanted to leverage their internal capabilities. Amplify Interactive worked closely with their internal staff to provide multiple layouts and looks that could be customized internally in a collaborative process, with an ever-present focus on the flexible needs for news and updates and an extensive focus on reorganization of site content to highlight appropriate information within key sections of the site. This focus on flexibility has allowed internal staff to continue updateing the site while preserving the elegant and professional look for the past 2 years without any additional help. 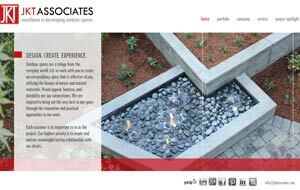 Amplify Interactive had the privilege of designing JKT Associates new logo and website to launch their company’s branding efforts as a premier new landscaping company. The site was built using a content management system, to make it easy for an employee to add photos and details about newly finished products. A logo and business card design also helped define the company’s modern, clean line, architectural style. Jarid Beck, Director & Co-Founder at Risk Management Advisors, Inc.
"You never know how far reaching something you may think, say, or do today can affect the lives of millions tomorrow." Put our personal service, consultative approach and expert design team to work for you. Tell us a bit about your company or project and we'll contact you directly to schedule an initial consultation, answer any questions, or provide you a no-obligation quote. What color is the 'Send' button below?